Kirkbymoorside, or Kirkby as it is known locally, is situated at the southern foothills of the North Yorks Moors. It is 7 miles from Pickering and 6 miles from Helmsley. 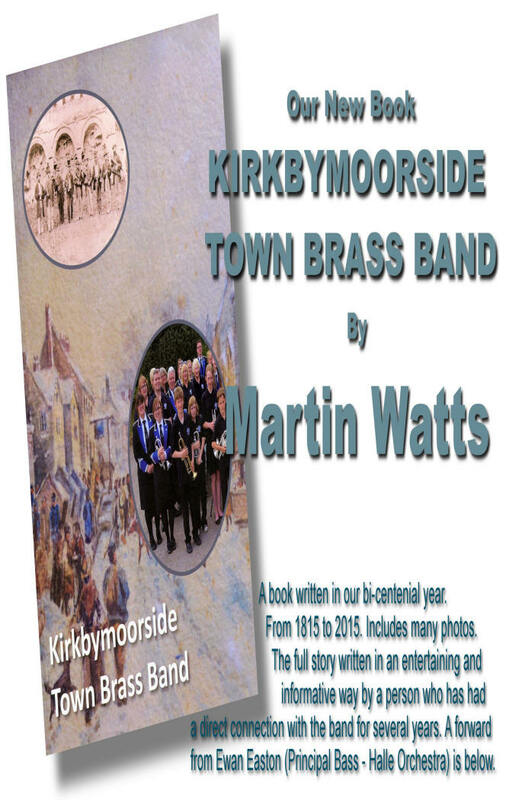 Kirkby has had a band since at least 1815 and we have the minutes book from 1890 until today. The bands first contest win was the Kirkbymoorside poultry and industrial show contest of 1886. 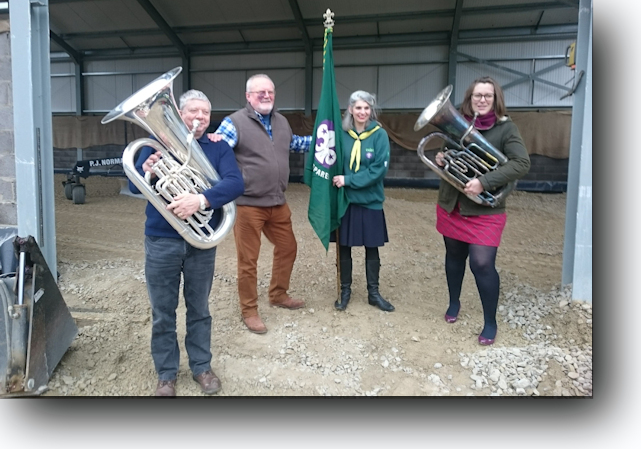 Our band room was built in 1976 on land kindly donated by James Holt who lives in Kirkby. It is a purpose built building and is used for all band activities including practices which are three or four times a week. In addition to our Senior Band we have several teaching bands ranging in ability from the Beginner Band made up of people who can play just a few notes, to a quite capable ensemble of GCSE and A level students. We also have an adult teaching band - our "Community Band" and all of our musical ensembles deliver public performances. A good sized audience attended our first run through of this years Regional Test Piece, 'Symphony of Marches'. We felt it was Ok with six more practices, and we hope you all liked it. We were joined by our Training Band, Shining Brass & Community Band. They all played so well and were a credit to our tutors, thank's to all of them. Thank's to everyone who attended and we hope enjoyed our Christmas Concert at the Memorial Hall on Sunday 23rd December. When there's something strange in the neighbourhood, who ya gonna call?  - Kirkbyband of course. 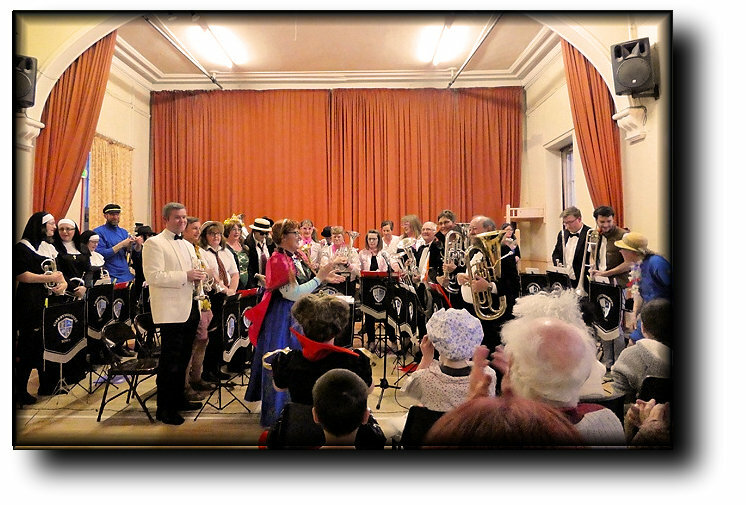 Sunday 28th October saw a spooktacular concert by all 6 of the Kirkbymoorside Town Brass Band. 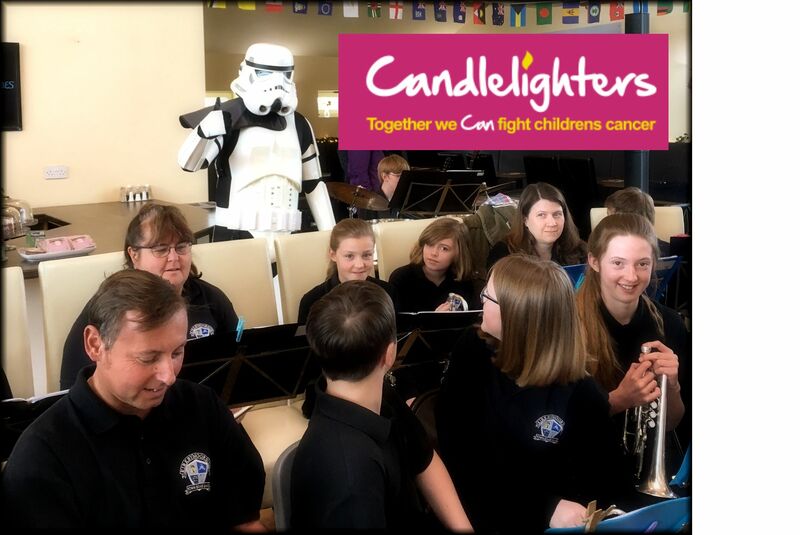 Attendees were treated to concerts by the Beginner and Learner Bands, The Community Band, Shining Brass, the Training Band and the Senior Band. Repertoire included Baba Yaga, Batman, Dance Macabre, Pirates of the Caribbean, Adams Family, and Star Wars. 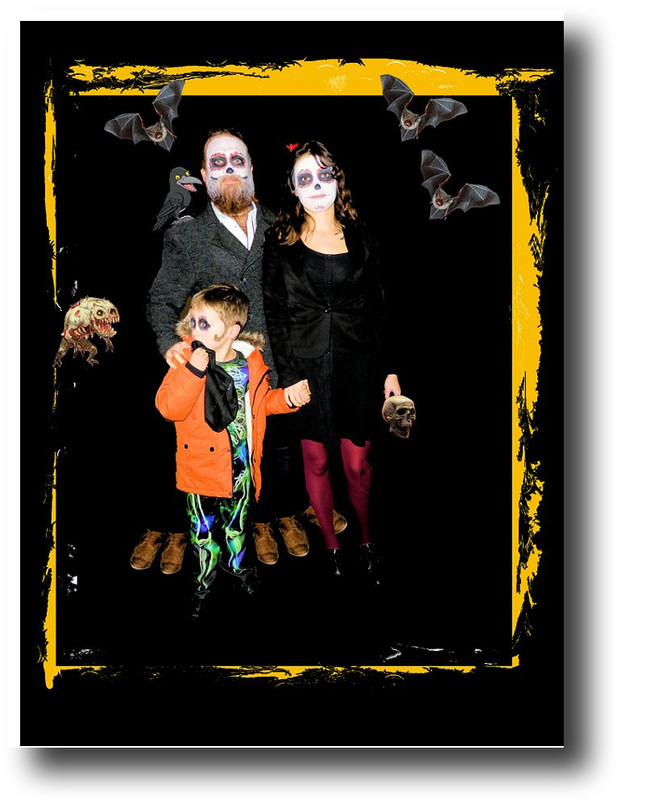 As well as dazzling music each band was fully dressed up for Halloween, featuring everything from mummies to skeletons, ghost pirates and wizards! The Finale saw over 100 musicians playing Ghostbusters on stage together. 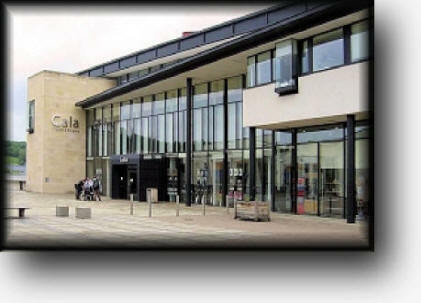 A huge thank you to all involved and to Ryedale School for hosting us. Jeanette and her Juniors Beat of the Competition! 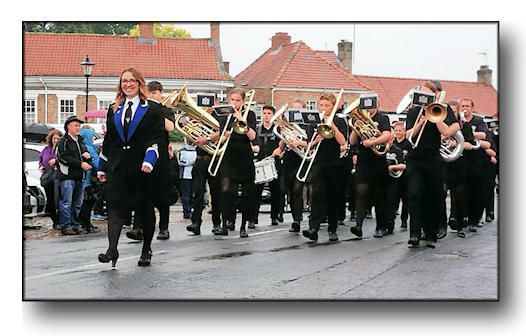 Saturday 2nd June saw our return to the Easingwold March and Hymn Competition. 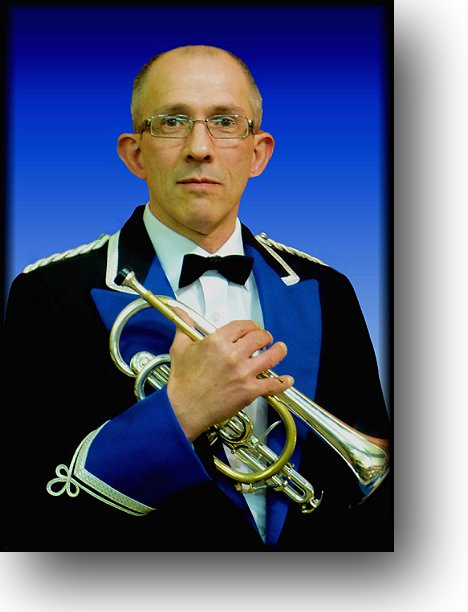 Run by the local Lyons for the Yorkshire and Humber Brass Band Association. 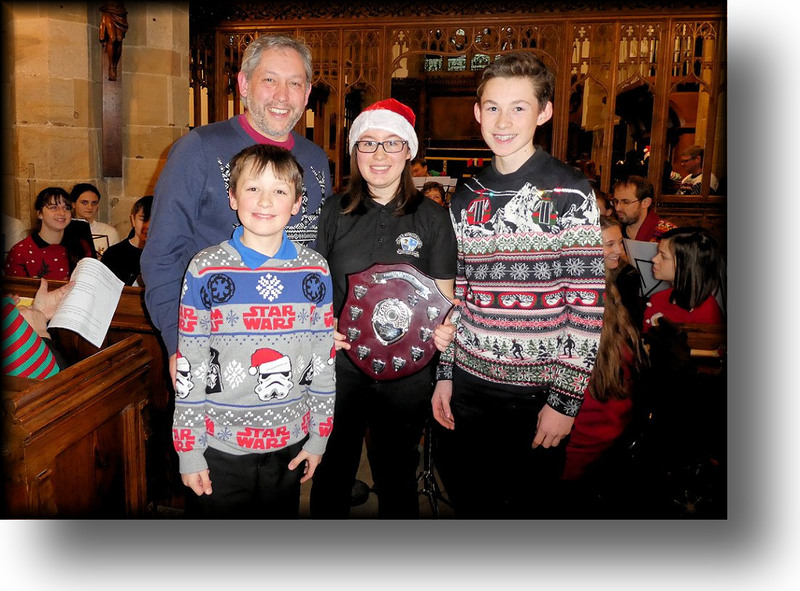 The competition saw bands from across Yorkshire competing for prizes including deportment, best March, and Best Hymn. 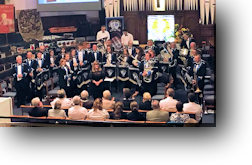 The Adjudicator John Roberts was incredibly impressed with the talent on show and the local Youngsters from the Kirkbymoorside Junior Band really dazzled with their marching, beating of all the adult competition and winning the deportment prize for the best marching on the day. Tactor & 10K Run in Kirkby. 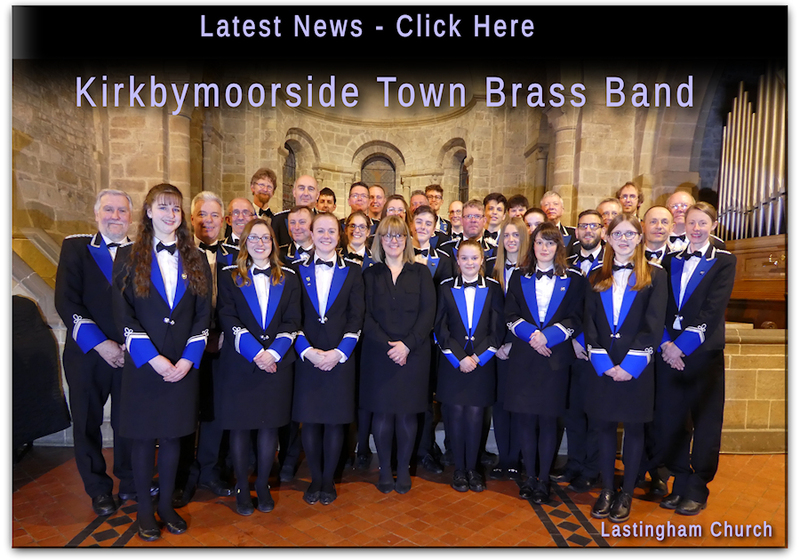 It was a sunny day and we all enjoyed playing yet again for these two great events in our home town of Kirkbymoorside..
We had a great concert at the Citadel in Scarborough. We were joined by The Staxton Singers who entertained with songs from the shows and great renditions of classical pieces from Verdi and others. Our juniors played Choral and Rockout in a special feature and did themselves proud. We were delighted to receive a wonderful framed picture of some of the work that has been completed in the last year at the Citadel. 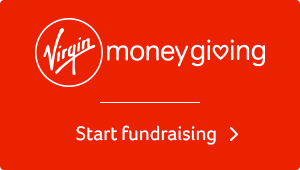 A good collection will be used in the usual good causes. The picture left is Lieutenant Richard Weston presenting the framed photo to our Musical Director, Sarah Woodward. We were delighted to attend and represent the town of Kirkbymoorside at the North of England Brass Band Championships on the 18th March. The test piece Kenneth Norbury's Odyssey, despite being technically difficult, was well liked by all the players round the stand. This was the first contest for both our Conductor Sarah and all bar one of our Principal Players. As well as internal promotions to principal seats it was also the first ever contest for some of our young players too and they played outstandingly. The band were delighted with the performance and were encouraged by the adjudicators remarks. A great review by Steve Jack 4barsrest.com was a great record and appraisal of the day: "After travelling through the snow Kirkbymoorside show their intent with a restrained opening that suits their young band. Sarah Woodward gives the music time and space directing on her debut. Her dad John would be proud of her — it's cultured stuff this. There are a few slips here and there, but on the whole it's neatly portrayed and cohesive. Middle movement may just lack a little of the quiet reflection of others but it was delivered with confidence. The finale may not have the strength and power either, but it has enough about it for a strong, triumphant close"
Of course those who know the band will smile at John being called her dad, but needless to say John her father in law was exceptionally proud! 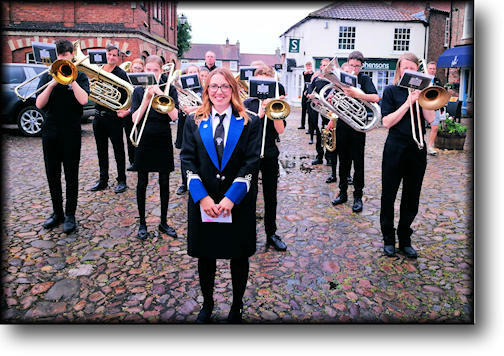 Emma Smailes (Solo Horn) "The band would like to express their thanks to Sarah for all the hard work and passion she has put into the months of rehearsals leading up to the contest. We could not be prouder than to have sat on the stage under her direction." Andrew Willamson, local resident and band parent summed up the pride of Kirkbymoorside Town in their band and Sarah when he tweeted "Home Players playing with passion and pride! 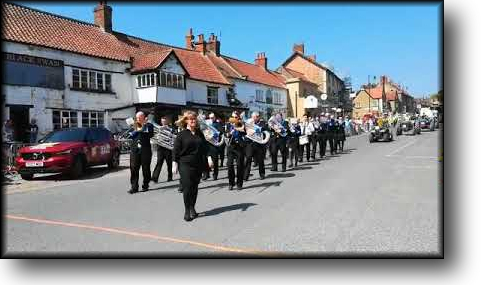 Who could ask for more, well done Kirkbymoorside"
Will the royals be blowing North Yorkshire's trumpets. Our rep player Richard Wright, featured in video, works with Richard Smith who makes the Smith Watkins Fanfare Trumpets. 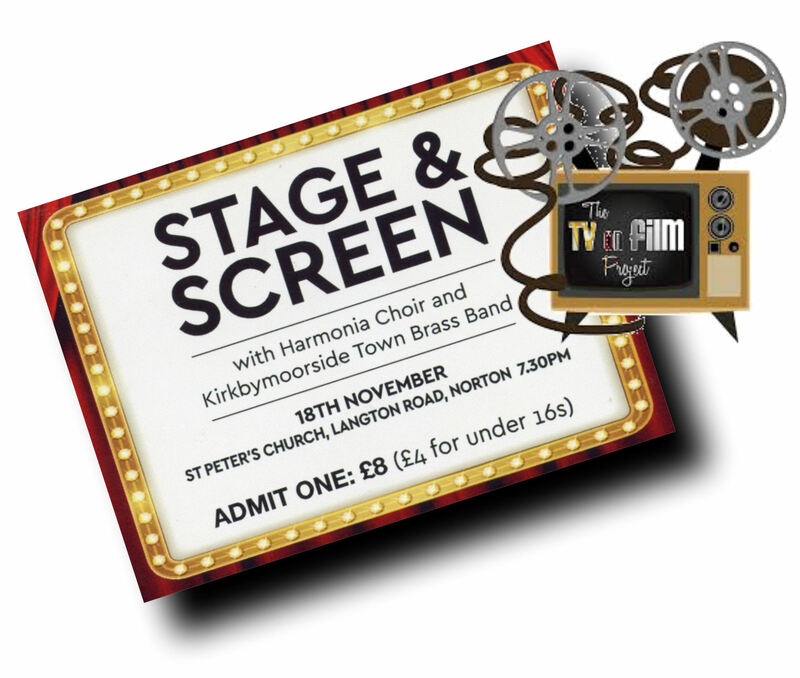 Thank's to all that came to see Harmonia Choir and Kirkbymoorside Band on the at St Peters Church in Norton. Judging by your reaction you enjoyed it and we hope to see you again at one of our Concerts. 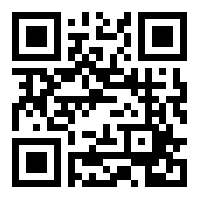 You can click here to see Harmonia's web site, to check out where they are singing in the future. Our new Musical Director Sarah Woodward delivered her inaugural concert on 17th June 2017. Having only had the baton for a few months Sarah delivered a programme that was a tour de force. The audience were treated on a journey through brass, covering many continents, countries and styles of brass music. Highlights of the evening were of course the solo performances, of note Bass Trombonist Jim Butlers's 'Mah Na Man Na', with choreographed interruptions from our new sop player John Sails the performance was further augmented, to everyone's delight, by the streams of giggles from our younger audience members in the front row. There was also some new music on show that it was obvious the band had enjoyed rehearsing and this was rewarded when it was clear that the audience loved them too. The en-core, Show Me The Way To Go Home with Raucous trombones was only topped by the 2nd encore, Mnozil Brass's Florentiner Marsch which was the perfect mix of technical playing, humour and musicality. 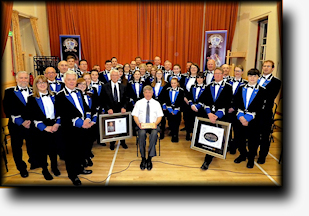 It was with sadness that this was the last concert of our 4th Man Down Joe Sails, but the band wish him and Laura all the very best in their move to Leeds and no doubt we will see him soon. John Barrett took this instrument along with the old band photos to see what they made of it and the story that links the Ophicleide to over 200 years of community music making in the town. 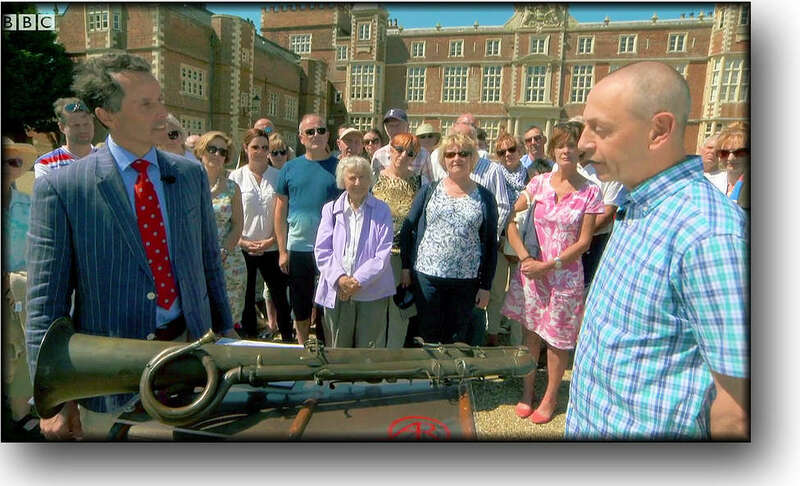 The BBC adviser Adam Schoon was so keen on the instrument that John was interviewed and filmed for possible use on the TV show. 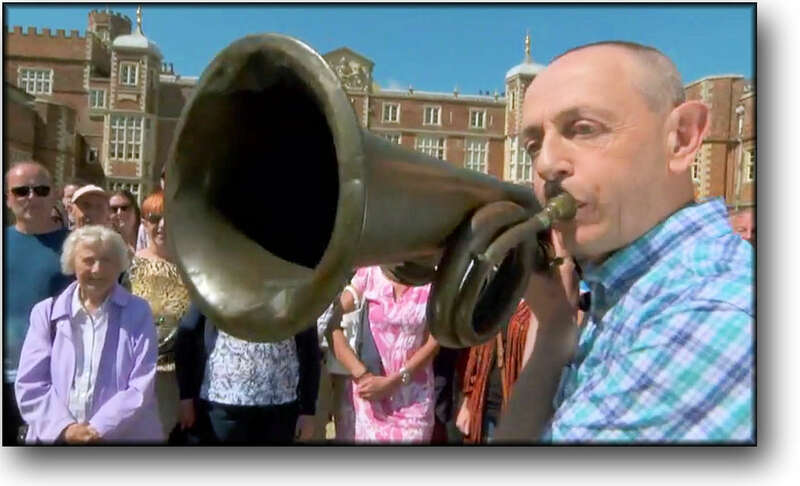 As to the value that was placed upon the Ophicleide, well let's say it is worth more than we thought. Several years back Jane Russell had donated an old Ophicleide to the band that had been passed down through the generations to her from the mid 19th century when her Great Grandfather had played in the town band and when the Ophicleide had been in use. John thoroughly enjoyed his day out and was sad that Jane Russell had been unable to be there too. It is understood that the instrument is the same one that appears on the oldest photo of the band taken at Rievaulx in the mid 1800's. It had for many years hung on back of the door to her dad's (and Grandad's) joinery workshop before Jane rescued it after the workshop had been demolished for new housing.Well done John, it was agreat day for you and the band..